With winter around the corner, I could use a new scarf. 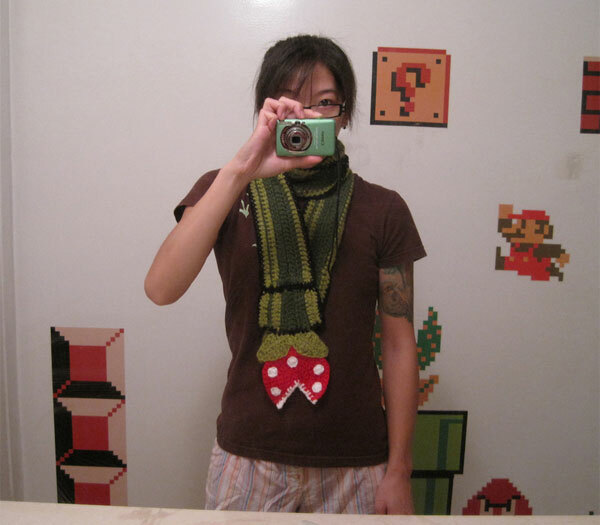 But I’m not sure I’m confident enough in my own masculinity to walk around wearing this crocheted Super Mario Bros. Piranha Plant scarf around my neck. For gamer girls out there, crafter/Mario fanatic/Technabob follower Mindy (a.k.a. 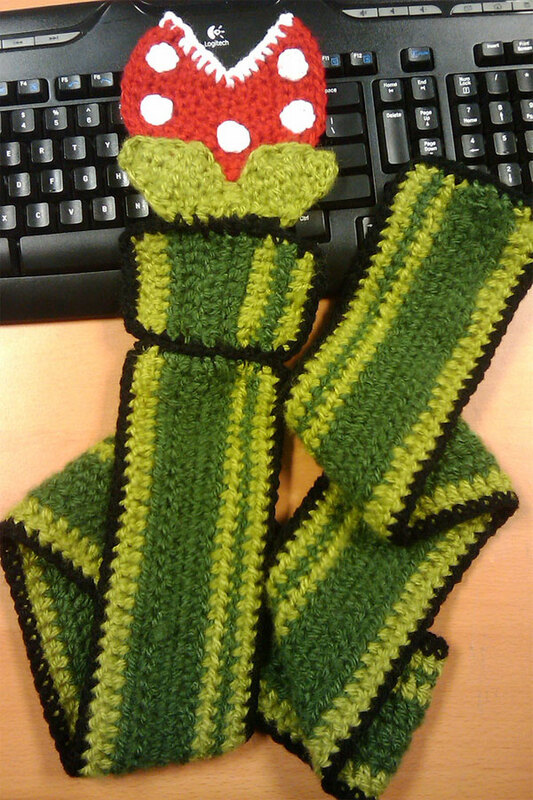 “enemyairship”) has been kind enough to share the details of her Piranha Plant pattern if you want to make your own scarf.